Camp Legacy’s Lower Camp offers week-long camps for children 3-5 years old who have not yet completed Kindergarten. Campers enjoy a daily flag-raising ceremony, camp songs, in-house field trips, water fun, arts & crafts, team building, cooking, nature activities, sports and special events such as tie-dying, carnival, tug-a-war, & “Minute-to-Win-It” games. Lower camp activities take place in Legacy School, playground, soccer field and amphitheater. *Come kick off your summer right with a week of fun in the sun! *A unique menu! Get ready for a week of cooking! *This week will be DINO-MITE!! *Get ready for a filled week in paradise! *Come celebrate Independence Day! Campers will make patriotic crafts, snacks, and much more! *Why wait until December to celebrate the fun of Christmas? Come have a holly jolly time! 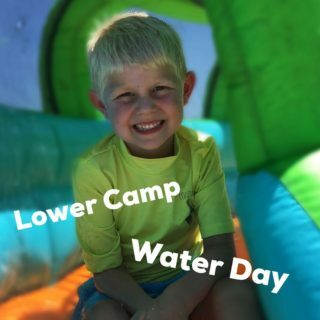 CAMP SESSION #7 July 15-19—Water Fun! *Discover and Explore water everywhere! *If you love Superhero’s, don’t miss this Super week! *Bugs, dirt, trees, and more. Campers will explore and get creative with nature! *Do you know what animals and plants live in the desert? Let’s find out together. *This is a non-themed camp week for 2019-20 Legacy School students only.